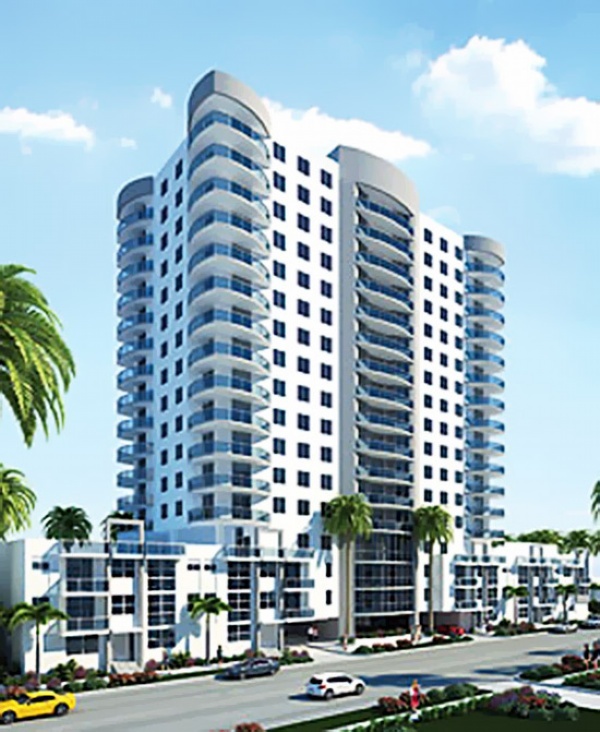 Miami's 23 Biscayne Bay condo is an eighteen story project by architect Luis Revuelta and the Melo Group located in an easternmost section of the city often referred to as “Edgewater” which is itself part of the Art and Entertainment District. Because of this position, residents of this building enjoy unobstructed views of Biscayne Bay, the small Pace Picnic Island and Miami Beach's several island neighborhoods. At 23 Biscayne Bay you'll find amenities like an expansive pool deck with a patio area that overlooks Biscayne Bay, a social room for residents that includes a television, a modern fitness center with equipment for strength, aerobics and cardiovascular focused exercises plus convenient bicycle storage. The 23 Biscayne Bay units have 928 to 1,530 square feet of living area in a variety of “functional” floorplans. Each residence has glass railed balconies with expansive terraces. Kitchens have polished granite countertops. The Shops at Midtown Miami is located northwest of 23 Biscayne Bay while the Adrienne Arsht Performing Arts Center and the American Airlines Arena are directly south. A major perk is how equidistant the building is to I-195 and the MacArthur Causeway to the north and south, respectively. Both of these highways provide a quick means of visiting the barrier island of Miami Beach to the east.